1. Improvement in our section for dance questions. 2. New! : contemporary-dance.org advertising program. We had so many threads in our section for dance questions that it had become hard to browse over it for those who wanted to ask something new. Therefore, I decided to organize your queries into categories and create a new page for each. You will continue to find the page for dance questions at the same URL, but now you will see there are links on it to go to the category that would fit the question you have. I hope this enhances your experience at contemporary-dance.org. Don’t hesitate to give me some feed back or share your ideas if you have them. Your participation is always welcome! This is for those of you who have dance-related businesses. Do you run your own dance school? Do you produce dance wear, shoes, music, floors…? Do you have a great dancing studio to rent? Do you offer dance-related services like management, photography, video-production or something likewise? …or tell your colleagues and friends who run such businesses of this new advertising opportunity. 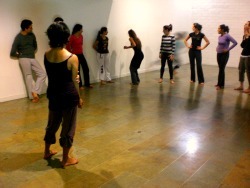 During the first two weeks of September 2011, the dancers of Medellin had the opportunity to attend to a choreographic workshop by the Spanish dancer and choreographer Mercedes Pedroche. ‘La Pedroche’, as she is called in her native land, was invited to Colombia to confer a series of lessons about diverse topics like dance didactics, choreographic tools and technical training. 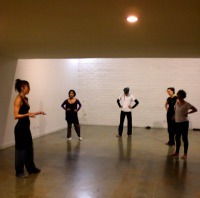 This gave me the occasion to ask her to share some of her teachings with us at contemporary-dance.org. In a very generous and friendly way, she accepted to have an interview with me, in which I focused on asking her about the choreographic tools she intended to use in one of her workshops. 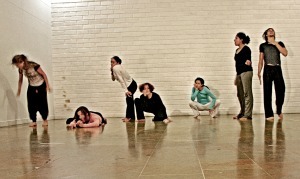 contemporary-dance.org: Can you tell us what this workshop is about? 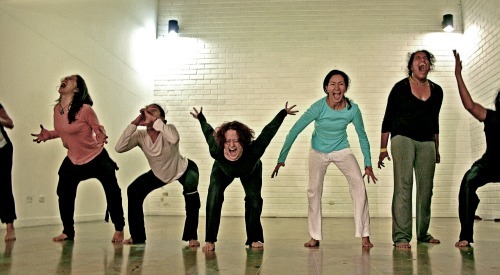 Mercedes Pedroche: I’m teaching a choreographic workshop focused in composition. 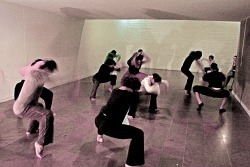 Dance composition can be a really wide subject, but in this case the goal is to share a series of tools with which people can compose, while at the same time the teacher is composing. I’m not transmitting a whole choreographic material that is previously fixed but I’m trying that the dancers contribute to the construction of a choreographic structure through their participation and involvement. Specifically for this workshop, I’m willing to create a piece with the students; like if the workshop had a rounded concept, in the sense that we are going to do a work that at the end makes people feel that they have a piece. So, we are working on a choreographic material that I’m teaching them and there are other parts, that involve dramaturgy, work with the voice, text and movement that they have to work out according to guidelines that I propose. CDO: Could you describe those guidelines that you give the dancers? MP: Yes. For example, one day I told them to search for four typical gestures of their own. Not socially or generally codified gestures, like for example when you say hello, but specific gestures of their personality. We all have unique gestures, like when talking or so… So they had to search for those four precise gestures of their own and other four more gestures from other people. With that material they had to compose a choreographic fragment, but allowing the combination of gestures to evolve into something else. So the task was not just to paste one gesture after another, as that is not of my interest, but also to find a conducting thread. The interesting part of it for me is to see what those gestures suggest them and what they can create from them; but somehow constructing a story that is not necessarily literal, but something that is certainly traced. CDO: So, did they search first for the gestures and then founded the story? MP: Yes. That’s the way it had to be. Another guideline was to tell a story. It could be any written text or an anecdote or whatever, like… “Today I want to tell how I brush my teeth”… or telling something that happened to me or a dream, or an absurd… whatever. So, having the choreographic structure with the gestures, the new task was to add that text. Now they have to perform their choreographic composition while telling the text. They can make modifications and let the material evolve. What they have constructed is not rigidly fixed, but it is at the service of the path that the whole piece will take, as these guidelines are from parts that will make up the whole. I’m planning to develop this idea with a line of characters that advance forward telling their stories and executing their gestures, but it is not danced. In this part I’m not so much interested in showing danced movements but rather investigating other movement possibilities. And I guess that they will need to exaggerate their gestures. CDO: So, are these two guidelines the strategy to create only one part of your piece? MP: Yes. Those two guidelines make part of one scene. I work the parts as if the whole was a puzzle, so people don’t know the final image till the end. They work with apparently disconnected images that start coming together and at the end they understand why we’ve done all of it. CDO: But do you have the whole idea from the beginning? MP: Well I have an idea but I always leave things opened. There are things that I don’t know, and I don’t want to know them, because depending on the people that you work with, you might have different feelings. If you arrive with everything decided, you don’t open your self to the group. When you see a group improvising, it offers you things. I receive that because it can also inspire something new. For example, yesterday we were working on the beginning of the piece. The guideline was to search for a spot in space and walk through the studio until reaching it. Then, not feeling satisfied within that spot, search for another one and go there. People move in space searching for spots. Initially I don’t tell them why they are doing that; they just do it. I don’t say why because I want to see first what the dynamic of the group is and then decide where we go. That is because afterwards, I try to go for a deeper concept that might be a more psychological work. So, yesterday I told them to start telling small parts of their texts mixed with sounds when they were moving in space. We had also done a work of voice the first day, but not with text. It was voice and movement. We did sounds and searched which movement that would induce in our bodies. Those were not sounds with sense or words, but things like rrrrrrrrrrrrrr… blpblpblpblp……clclclc, or whatever. So we had to see what movement would arise from those sounds and not otherwise. First we generated the sound and then we saw what that would generate in our bodies. We had previously done that work with sounds. So yesterday, as I wanted to include that, I asked them to incorporate sounds together with the letting out of the little parts of their texts. I also put some weird music during the exercise and that pushed them to do very strange sounds. So when they started to do that I felt that it really worked. The guideline was opened to what could happen and I transformed it during the improvisation. For example at a certain moment someone said: “Hello” and another one that was passing by answered “Hello, how are you?”. So after that I also asked them to search for associations. It was interesting to see how sometimes there was an interaction between them. CDO: Is this all for the introduction and one of the scenes? MP: Yes. We are also doing a parallel work with choreographic, physical material. That part is already choreographed by me and will make up a second moment after the introduction. After this danced part, there is another moment in which they all run in space. CDO: Is there a guideline for this part of running? MP: Yes. They have to run all through space. When they come across someone they have to stop and freeze. The other person has to stop as well. The one that stopped first can not move until the partner looses the situation again to continue running. From the running they will pass radically to the line of characters where they will all stand like if nothing had happened. But they have to freeze in an ‘intermediate’ position, like if they were in the middle of a conversation. They will start in different moments to advance forward telling their story in a quiet voice. While advancing they will gradually talk louder until they reach the proscenium, shouting. There will be a moment of maximum intensity and then they will start breaking the image to make the transition to a moment of improvisation with the highest of their energy. CDO: So there will be a moment for improvisation after this? MP: Yes. The guideline is to improvise discharging to the limit, thinking that you want to take something off your self. The whole piece is talking about vulnerability and the situation in which we (human beings) do not want to show that vulnerability. Therefore we create an artificial role, like a corset, that helps us pretend to be something that we are not. But deeper, what we really want is to take off that corset. We feel that something is not right when we are into the corset. Some people perceive it; some don’t and stay like that for their whole life. In this piece, I’m talking about the person who is aware of that and wants to be free. There is like a kind of attitude of rebelliousness. So, the guideline for the improvisations is: “I want to take off that corset”. CDO: Will there be more scenes in the piece after this? MP: Yes. After the improvisation, which will be of a very intense dynamic, the dancers will go back to the line. I’m still deciding if it will be a line, but the guideline now will be to tell the story again without sound. We will see the same action in complete silence. That should take us to an intense end. When they arrive to the proscenium again, they should start yelling with all their forces but without sound. And the lights will then go off. CDO: Are the guidelines you described specific for this piece? MP: Yes. They are mainly for the piece but some games or exercises are common and I might use them in other occasions, like for example the work of voice, or so. CDO: And how do you select the music? How do you find it or how do you include it in the process? MP: There’s something that happens to me with music and that is that music talks to me. That happens to me a lot. So one day I might be listening to any music and suddenly I feel that it suggests me this story. CDO: And in this case, did you choose a musical piece for this choreography or is it just like a song? MP: It is only one long song, but that is enough because almost all the choreographic piece happens in the silence. CDO: Is there something extra about the subject of the choreographic tools you would share or tell us now? MP: Well, I might say that it’s not the same to work alone than to direct a group. For example what I use to create my solos is not the same as what I use to create for a group. For me I use images and my imaginary a lot. For example I can be one day in a completely absurd situation, like in the street drinking a beer, wherever, and suddenly I see something that calls my attention. Or I see something as if I was seeing it on stage. It can be people in which I see things or a situation. And those things produce a sensation within me that stays and I keep it. Some days might pass and later I try to recover that and it starts gaining a form. For example my last production entitled “Parámetros” started one day when I was throwing away the garbage. There was a granny there with a baby-chair and I asked her if she was going to throw it away. The granny asked me if I wanted to keep it, so I went back home with the baby-chair and with a feeling. I usually use my feelings to see how I tell and construct the pieces. So at that moment I was going through a difficult time and I felt like telling and giving all the weight of my situation to that little chair. And that way I constructed a solo in which I told a whole story that I was living at the moment. CDO: And do you also use music to generate those images? Well, I hope this awakened some creative ideas for you! 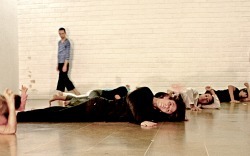 Remember that we have a page about dance composition at contemporary-dance.org with more related info and a form where you can share ideas and thoughts about the subject.